Alister McGrath. C. S. Lewis: A Life, Eccentric Genius, Reluctant Prophet. Carol Stream: Tyndale House Publishers, 2013. McGrath’s work is a welcome addition to the voluminous literature on Lewis. It represents exhaustive research and insightful analysis. The reader comes to know Lewis the man, his character, and his ideas. McGrath clearly explains Lewis’ ideas and places them in the context of their development. New information requires reassessment of some events in Lewis’ life. The work provides detailed information about Lewis’ family dynamics (mother, father, and brother) and his relationships with Mrs. Moore, Joy Davidman, J. R. R. Tolkien, Charles Williams, other literary figures, and the Oxford faculty. McGrath provides a brilliant analysis of Lewis’ literary works, especially The Chronicles of Narnia and recognizes his significance among twentieth century writers. I found his analysis of Mere Christianity and other apologetic works less insightful. The last chapter assesses Lewis’ influence. McGrath states, “Lewis’s rise to fame in the United States was linked with the wartime revival of interest in religious questions, which persisted until late in the 1950s–but then began to fade. During the 1960-s, religious interest and concern switched from theoretical questions to practical issues. Lewis seem ‘much too theoretical and abstract’ to the younger generation.” (p. 363) McGrath says Lewis’ prominence “receded in the 1960s” and he had “few champions ” in the 1960s. He says Evangelicals in the 1960s “clearly regarded him with suspicion.” (364-365) He says Lewis’ popularity surged again in the seventies. This tracing of Lewis’ influence in America does not square with my experience and what I observed during the mid twentieth century. As a student in Ozark Bible College in the late fifties and early sixties, I brought and read several of Lewis’ books. His books were discussed at the college. I attended Wheaton Graduate School in the mid-sixties. Lewis’ influence was very much alive in Wheaton at that time. After Lewis’ death in 1963,Wheaton professor Clyde Kilby began collecting Lewis materials for “The C. S. Lewis Collection.” In 1965 the Wheaton College Library Committee accepted Kilby’s proposed Lewis’ collection. Because of an endowment of the Collection, in 1974 it was renamed The Marion E. Wade Collection. But that date does not document the beginning of the collection as McGrath seems to indicate. I began teaching in Bible college in 1967 and used Mere Christianity as a required text each semester from then until 2005. Having read many books by and about Lewis over the past fifty years, I found McGrath’s book to be the most definitive biography of Lewis available today. His exhaustive research in all the Lewis correspondence and other primary sources adds credibility to McGrath’s work. This is a thorough, well-written, honest portrait of C. S. Lewis. Introduces the basic terms and concepts, key thinkers, and fundamental apologetic issues and questions. States the what, why, and how of apologetics preparing persons for further study of reasons for faith and answers to objections. It does not present the case for Christianity or answer attacks but rather introduces one to the study of Christian apologetics. Part One, Challenges to Christian Faith, helps the reader understand doubt and unbelief which make apologetics necessary. Part Two, Foundations for Apologetics, discusses concepts essential to the defense of the truth of the Christian faith, including reason, knowledge, truth, and faith. Part Three, The Practice of Apologetics, discusses reasons for apologetics, defense of the faith in the New Testament and in church history, methods of defense, practical uses of apologetics and guidelines for apologetics. The audience would be Bible college, seminary, and university students as well as leaders and thinkers seeking to defend the faith. It seeks to instruct and motivate Christians to be prepared to present an intelligent and effective case for Christianity. The book challenges Christians to be good thinkers in how they go about defending and commending Christian faith. It could serve as a first book for beginning a serious study of apologetics. Be prepared to deal with doubt and unbelief. Be acquainted with the role of thinking, knowing, truth, and faith in apologetics. Know why we should defend the faith and how the faith can be defended. Learn from defenders of the faith in the New Testament and in church history. Gain practical suggestions and guidelines for giving a defense of your faith. H. Lynn Gardner taught apologetics for forty years in Bible colleges, serving eighteen years as academic dean. A graduate of Ozark Christian College, California State University, Wheaton College, with a doctorate from the University of Arkansas. Included in his seven books are Where Is God When We Suffer? What the Bible Says about Suffering and Christianity Stands True: A Commonsense Look at the Evidence. www.lynngardner.info. Barbara and I have accepted an invitation from the Jordan Evangelical Theological Seminary (JETS) in Amman, Jordan, to teach for two weeks in August, 2010. I will teach a course entitled, “Worldviews,” which will focus on defending the Christian faith and worldview in response to other systems of thought. Barbara was asked to assist the seminary librarian. Several years ago it was our goal for retirement to assist Bible colleges and seminaries in this way. But my pulmonary fibrosis and subsequent double lung transplant canceled those plans. I checked with my doctor at Barnes Hospital about this invitation. He asked, “Do you want to go?” I answered that I would like to. He said, “That’s why we do transplants.” They gave some safety tips for the plane trip, since I am immunosuppressed. This evangelical seminary provides Bible-believing theological education for Arab Christians in the Middle East. I see this as an opportunity to give a strong background in apologetics to these students who will go back as leaders in their respective countries. Barbara will work with the librarian on principles of librarianship. Jordan is a modern country, progressive in many ways and friendly with the United States. The country has freedom of religion with Christianity being a minority religion. The seminary has weathered several financial crises but has been able to provide this valuable teaching program. They will take care of us after we get into the country, but we will need to pay for our plane tickets over and back. The Christian Church of Carl Junction has established a fund, Gardner Jordan Fund, for those who would like to make a tax-deductible gift to assist in the plane expense. Checks should be written out to Carl Junction Christian Church. The address is 103 Hodges St., Carl Junction, MO 64834. These five books are classics of Christian literature. They speak to the heart issues of Christianity in a forceful and dynamic way. They lead readers into a deeper understanding of the Christian faith. Here is food and guidance to help you grow in spiritual maturity and discipleship. Why not read several of these books as a project this summer? Why not fast from TV, videos, movies, the Internet and feed your soul? Lewis, C. S. Mere Christianity. San Francisco: HarperSanFrancisco, 2001. Perhaps the most widely read apologetic for Christianity written in English in the twentieth century. Sold millions of copies. Logical reasoning in defense of the Christian faith by a former atheist. Stott, John R. W. Basic Christianity, 50th anniversary edition. Downers Grove: InterVarsity Press, 2008. Clear and easy-to-read introduction to the Christian faith. Over 2.5 million sold. Packer, J. I. Knowing God, 20th anniversary edition. Downers Grove: InterVarsity Press, 1993. Believing ignorance of God is the source of weakness in churches, Packer helps the reader gain a personal relationship with God through the knowledge of the living God from the Word of God. Stott, John R. W. The Cross of Christ, 20th anniversary edition. Downers Grove: InterVarsity Press, 2006. Powerful book stating the doctrinal meaning of the cross, answering misunderstandings, and making personal application of the cross to our lives. Many consider this the best book on the cross. Foster, Richard J. Celebration of Discipline: The Path to Spiritual Growth, 25th anniversary edition. New York: Harper and Collins, Publishers, 1998. 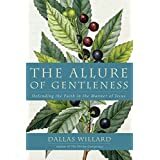 Practical guidance for one seeking a closer devotional walk with God and growth in spiritual maturity. Strobel, Lee. The Case for Christ: A Journalist’s Personal Investigation of the Evidence for Jesus. Grand Rapids: Zondervan Publishing House, 1998. A relentless search for the evidence answering the question “Who is Jesus.” Worthy of serious attention from every believer and skeptic. A refreshing and intellectually stimulating case for the reality of God. Contemporary and relevant as the author draws illustrations from his encounters with skeptics and seekers in his New York ministry. Willard, Dallas. Renovation of the Heart: Putting on the Character of Christ. Colorado Springs: Nav Press, 2002. Challenging instruction for growing in our spiritual walk, shedding sinful habits, and progressively taking on the character of Christ. Practical guidance for being transformed in heart and life into Christlikeness.